Early in the year, the Comptroller’s office released their annual audit of State University of New York (SUNY), revealing that the state’s largest medical institution was in dire financial straits. 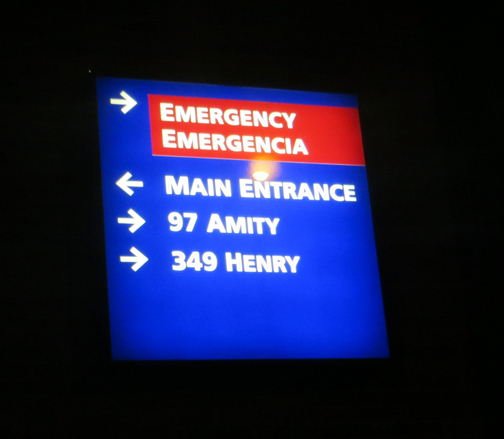 For several weeks, SUNY in turn has been faulting Long Island College Hospital (LICH) and immediately took steps to shut down the 150 year old hospital. Local media quickly picked up on the story, faulting LICH’s overwhelming financial troubles since splitting with Continuum Health Partners in 2008. In recent weeks, however, the true nature of SUNY’s own debt has been revealed, suggesting that LICH may in fact be their scapegoat. In addition, SUNY’s partnerships and past decisions are littered with the same suspicious behavior as their most recent curveballs. The Comptroller’s audit, released in mid-January showed that, even before acquiring LICH in 2011, SUNY was operating at a loss every year from 2007-2010. In 2010, operating losses totaled $49.3 million. SUNY’s financial statements show a loss of more than $275 million in 2011. “In fact, the financial condition of the hospital has been deteriorating appreciably in recent years,” the audit reveals. Within 90 days of the release of the audit, (January 17, 2013), SUNY is required to submit steps taken to “implement the recommendations contained herein” to the governor, comptroller and legislature. H. Carl McCall, president of SUNY’s Board of Trustees was appointed by Governor Cuomo, as were many on the board. In fact all members of the Board of Trustees were appointed by the governor, except one – the student representative. The New York State budget went into effect on Monday, March 25. The revised budget excluding additional funds for SUNY, despite the financial crisis that could shut down the medical institution. The budget agreement requires SUNY to submit a restructuring plan by June of this year. Prior to the Comptroller’s audit, SUNY had already initiated an appraisal of LICH’s assets, originally valued at up to $500 million. The hospital is on prime real estate with waterfront views and is currently estimated at $1 billion if the property were completely liquidated. Selling LICH would completely eliminate SUNY’s debt, leaving more than $300 million in unused funds. Despite all of their financial woes SUNY is already revealing plans to open a brand new hospital elsewhere in Brooklyn. Phase 3 of SUNY’s Power Point presentation entitled A Future for Downstate Medical Center states, “Explore the potential of the consortium to develop a new hospital for central/northern Brooklyn.” The initial ground work, of course, involves closing LICH. Meanwhile, the state was considering a bill to allow for-profit a corporation to operate hospitals specifically in Brooklyn. The plan would have allowed “no more than two business corporations formed under the business corporations law, one of which shall be the operator of a hospital or hospital in Kings County and one shall be elsewhere in the state. The corporations would be permitted to partner with at least one academic medical institution” – like SUNY, for example. Another Power Point presentation, entitled SUNY Hospitals & a Healthier New York: Capital Briefing on page 14 shows the outstanding debt of the of their hospitals on January 31, 2013: Downstate – $191,329,000; Stony Brook – $187,542,000; Upstate – $ 251,818,000. This is in stark contrast to building a brand new facility. At the time, LICH’s real estate was appraised up to $5 million, but these figures account for $630,689,000 of debt. Since SUNY has continually proven to be irresponsible with their finances, it seems only logical that the state does not continue to hand them millions in grants. By not supporting them, Governor Cuomo is making a very strong statement to their management. He is holding SUNY responsible for their dollar woes. But he is also jeopardizing LICH’s existence because they are still under SUNY’s care. “It makes sense, before you plunk more down money, you come up with a plan that works,” Cuomo said. Jeffery Sachs, a previous advisor to Governor Cuomo’s campaign, also runs a business called Sachs Consulting. His clients include several major New York Hospitals, most notably, Brooklyn Hospital Center. Sachs was an advisor to Governor Cuomo in 2011 during the merger between LICH and SUNY. State grants to sustain LICH were frozen, delaying the merger, endangering the hospital’s survival. The freeze was quickly lifted when local politicians put pressure on Cuomo to reverse the decision. Some speculate that Sachs may have been behind the withholding of promised funds to the medical institutions. The delay of the grants had one obvious beneficiary; Brooklyn Hospital, one of Sachs’ clients would absorb the majority of LICH’s patients – if LICH were to close. Sachs was explicit in his arguments against the grants. He felt they were a mistake, and the state should find a more effective method to financing hospitals in Queens and Brooklyn. Although Sachs is no longer a part of the Medicaid task force, he still may have a reasonable amount of influence with Cuomo. Sachs served as an usher in Cuomo’s wedding in 1990. He is the godfather to the governor’s daughter. He is known as “Andrew’s best friend” in Albany. And he was a major supporter during Cuomo’s campaign. Belluck has donated more than $290,000 to New York candidates since 2008. Nearly $22,000 in 2008 and another $34,000 in 2009 of those funds were donated to Cuomo. In the 2013 state budget, Governor Cuomo proposed a pilot program to “assist in the restructuring of health care delivery systems” by allowing for increased capital investment in facilities to be accomplished through the establishment of two business corporations – one in Brooklyn and the other in a different part of the state. Testimony and other legislative action by nurses led to the for-profit plan being pulled off the table. Repeating his history of appointing his affluent friends to positions of power, Cuomo has a brand new line up this year. Cuomo is urging Henry Silverman, a multimillionaire investor, for a position on the Javis Center/New York Convention Center Operating Corporation. Since 2006, Silverman has donated $130,900 to Cuomo. Laura Aswad has been chosen to serve another term on the State Council of Arts. she has donated $93, 816 to Cuomo since 2009. More than 20 others are also nominated by Cuomo and are awaiting state Senate approval. In mid March, Senator Charles Schumer, along with other House and Senate members, reintroduced the Resident Physician Shortage Reduction Act of 2013 in both chambers of Congress. According to the Association of American Medical Colleges, the country is expecting a shortage of more than 91,000 primary care physicians, surgeons and medical specialists by the year 2020. One in seven doctors in the country is trained in New York. SUNY is the largest medical training facility in the state; LICH has operated as a training facility for resident doctors. “Congress should pass this important piece of legislation so that our teaching hospitals can accommodate more residency positions,” Schumer said. In late March, Governor Cuomo did not approve any additional funding for SUNY. With their crippling debt and without state support, SUNY is left on the brink of disaster. If SUNY loses their state funding and LICH remains with them, SUNY could take LICH down too. If LICH can find another operator who is really willing to take on the challenges LICH faces and can get things turned around, then the hospital could survive. The question remains: will LICH be able to do that before the governor decides to go ahead with the for-profits in the coming years? It’s a business deal and Cuomo’s a business man. Governor Cuomo has shown tendencies to favor those who heavily donate to his causes. With a potential for-profit health care facility intended in Brooklyn, and LICH on the brink of bankruptcy, the situation is perfect for an institution like SUNY to jump into the mix. Almost every one of their trustees is, after all, appointed by the governor. Since the State Senate has taken the for-profit institutions off of the table, the problem of whether or not Cuomo will instruct DOH to close down LICH or keep it viable for the south Brooklyn community lingers. Maybe he sits on it until the perfect scenario is fully ripe. Or maybe he turns the property over for real estate development. If he is vying for future presidency – or even keeping his seat as governor – will he risk going against the unions? He might let SUNY starve and take LICH down with them if LICH cannot find another operating firm before funds are approved for the institution. The Department of Health (DOH) has not announced a timeline yet for when they will be making a decision regarding the closing of LICH. To date, they have remained mysteriously quiet about their intentions. As an arm of the governor, perhaps they are awaiting his recommendation. Department of Health Commissioner, Dr. Nirav Shah was also appointed by Cuomo. The decision surrounding LICH’s survival become more complicated as more facts reveal themselves. “Is there enough money and legal willingness (which equals money) around to pursue this to its correct conclusion?” asks Toomas M. Sorra, MD and president for Concerned Physicians of LICH. “We are at a point right now where there are not enough hospitals left in New York City to deal with a mass civilian trauma event, natural disaster or epidemic,” NY Pop Culture & Politics blogged on February 12, 2013. Even so, LICH may end up being sold out despite the resounding evidence that south Brooklyn needs these services. It may all come down to what Cuomo’s powerful appointees – especially Sachs – are whispering in his ear. Update: On April 1, 2013, Judge Johnny Lee Baynes issued another restraining order, this time against DOH in addition to SUNY to prevent either group form taking action towards the closure of LICH. The next hearing is scheduled for May 2, 2013. This entry was posted in LICH. Bookmark the permalink. excellent summation. the whole situation is scandalous. they’re playing with peoples lives like its just numbers on a paper & if they are allowed to close LICH, the only ones who get hurt are the poor people who depend on that hospital. Well done, Kimberly. Depressing, of course, but the pieces do fit. We need a deus ex machina. This is the single best article I have read, to date, regarding the politics and corruption surrounding SUNY’s plan to close LICH. As an RN at LICH I am outraged that the situation has progressed as far as it has. DOH Commissioner NIrav Shah and Governor Cuomo MUST step in NOW to stabilize the facility as the politics play out! We cannot count on SUNY to do the right thing. The lives of tens of thousands of Brooklynites hang in the balance as LICH is threatened with closure. The staff remains resilient and positive but we are under a great deal of stress. Patients are our priority while in our free time we march, rally, hand out flyers, signs and stickers. We go door to door and make calls and send emails to local and state politicians. When we do get to sleep we do so with the weight of thousands of lives on our minds, the future of our careers, and the stress that comes with a potential loss of income in a not so great job market. Nursing is an act of the heart, right from the very start. It takes a special kind of person to care for the sick and dying. It is truly a shame and sad statement on what is valued in today’s society when Nurses must use all of their free time fighting to ensure they can continue to do the life saving, back breaking, rewarding and sometimes heartbreaking work we do. Where do you stand Governor Cuomo? As Attorney General our Governor quashed the investigation being conducted by his office into Continuum Health Partner’s ruinous, rapacious management of LICH. Instead of indictments Continuum was rewarded by then Attorney General Cuomo with the sweetheart deal with SUNY. As one might expect the board of Continuum is replete with major Cuomo campaign contributors. Excellent research and reporting of the issues surrounding cronies of the Governor. I wrote (an unpublished) letter to the NYT in February after they printed a propaganda piece practically fed to them by DiNapoli and Albany. As usual, the NYT sends lazy “journalists” to cover State issues. In that letter, I pointed a finger at Jeffrey Sachs, citing his contract with BHC, and his acting like he was the de facto director of NYS health institutions. Even though he was taken off the Medicaid committee, I believe he is still a major behind-the-scenes operator and stands to benefit hugely from the demise of LICH. For operators like Sachs, this is about market share for his clients, not health care for the citizenry. I appreciate your careful research. The February, 2011 NYT article citing Sachs’ top crony status, should have turned a light bulb on somewhere at the NYT since January, but they have magically disappeared from all this. and at the same time this article comes out in the RH Star, Gov Cuomo is in Albany touting his Public Trust Act that is supposed to end corruption in government. You cant make this stuff up. Looking forward to reading your informative work !! !